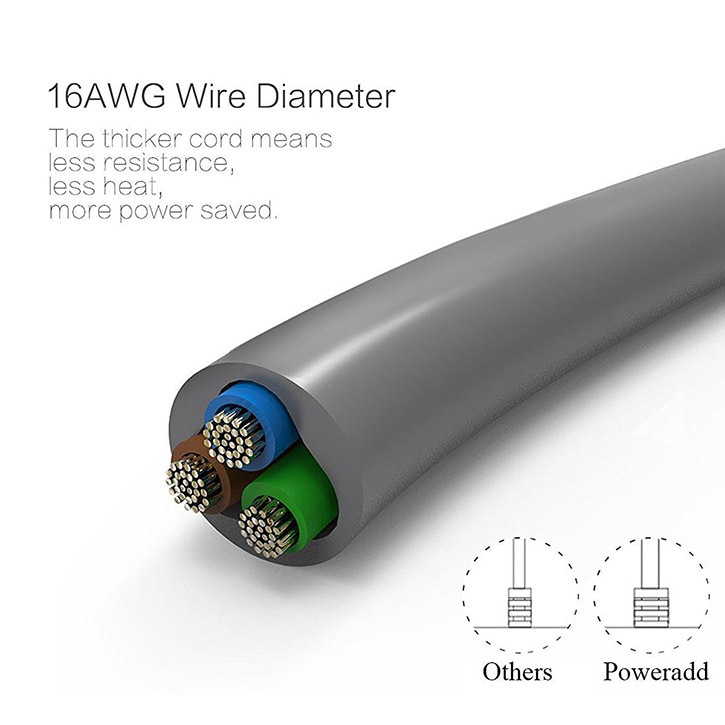 Cord Length: 6ft power cord. 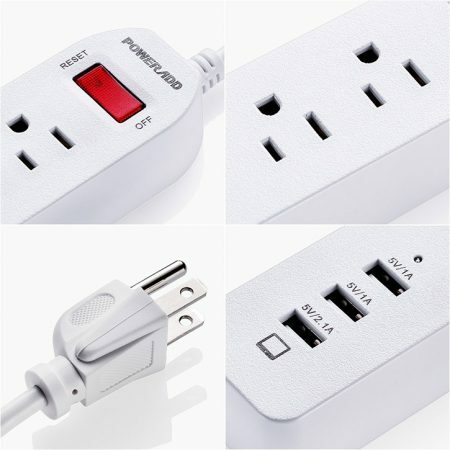 The sturdily built good-quality 6-foot heavy-duty power cord enables it to charge all your appliances safely and stably. 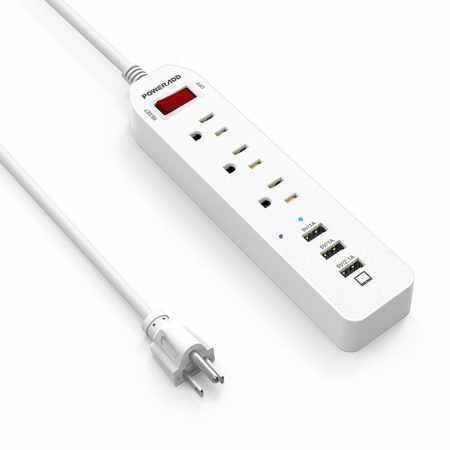 7 AC outlets with a 6-foot quality heavy cord for your electrical appliances. 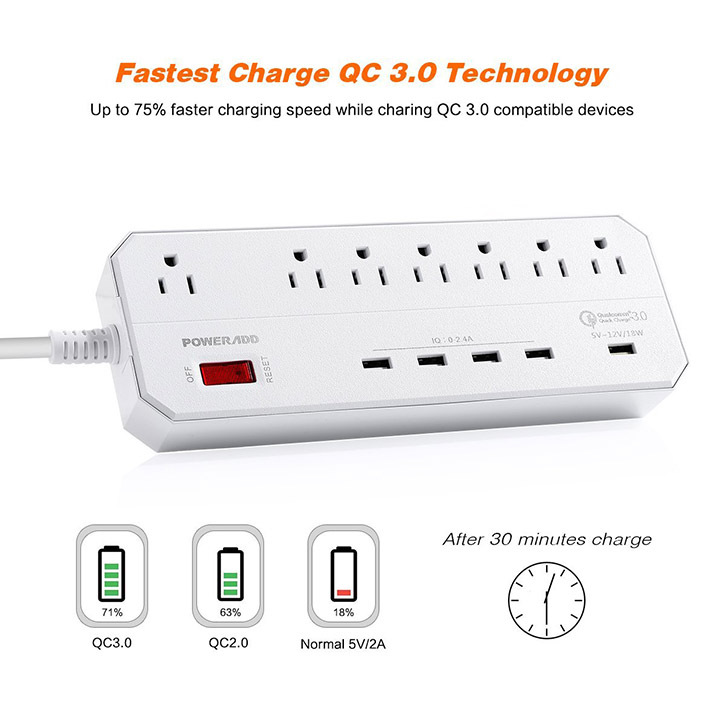 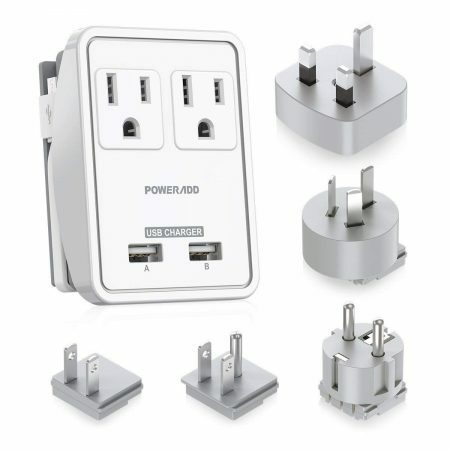 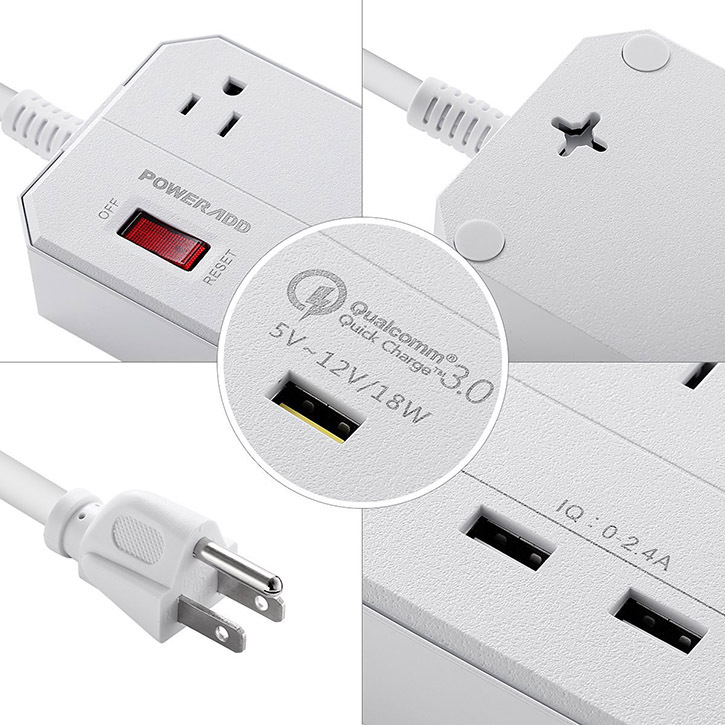 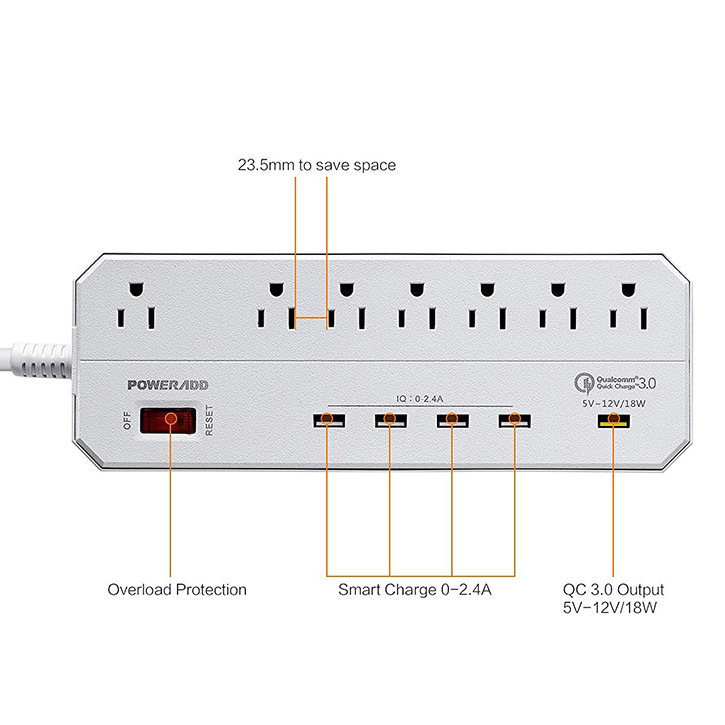 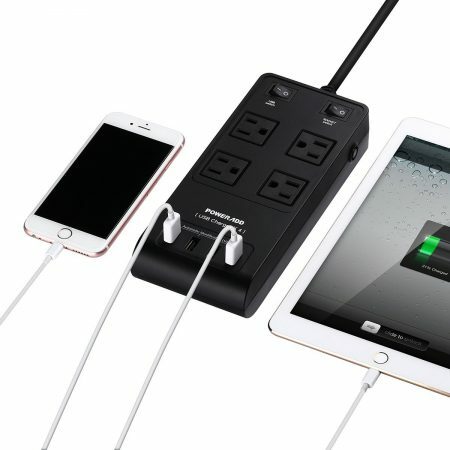 This surge protector features most advanced QC 3.0 technology offered by Poweradd. 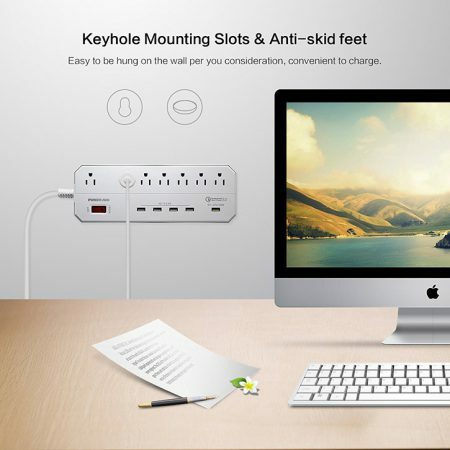 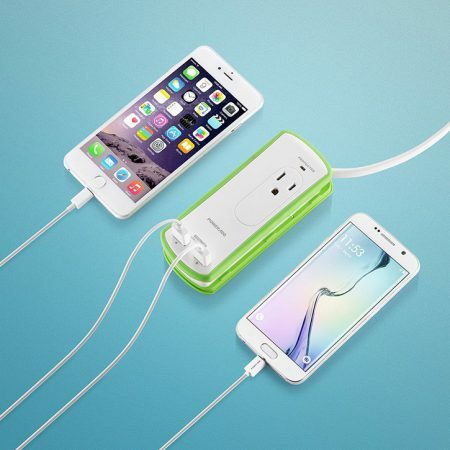 It’s designed to offer the quickest charging speed and to charge multiple devices and electrical appliances at the same time with its multiple USB ports and AC outlets.